Moose are wild animals and belong in the forest; not in a zoo or on a farm. This moose safari will show you the moose’s natural habitat. Your guide will tell you all about these impressive animals and their surroundings. For whom: Anyone over 8 and able to walk through the forest without difficulty. You will be hiking at a gentle pace for about an hour and make several stops. Should the walk prove to be too demanding, you can always wait by the campfire. After the others have returned, you will go on a moose spotting trip by minivan. Location: Skinnskatteberg (Västmanland); the exact location will be announced when booking. From mid-April to late September. The largest numbers of moose are usually spotted in April and May, when they come out of the forest to feast on the fields after the long winter. June and July offer the best lighting conditions for photography. In August and September the antlers are fully grown and many moose are seen due to the approaching rutting season. Please be aware that September is usually too dark to take good photographs. 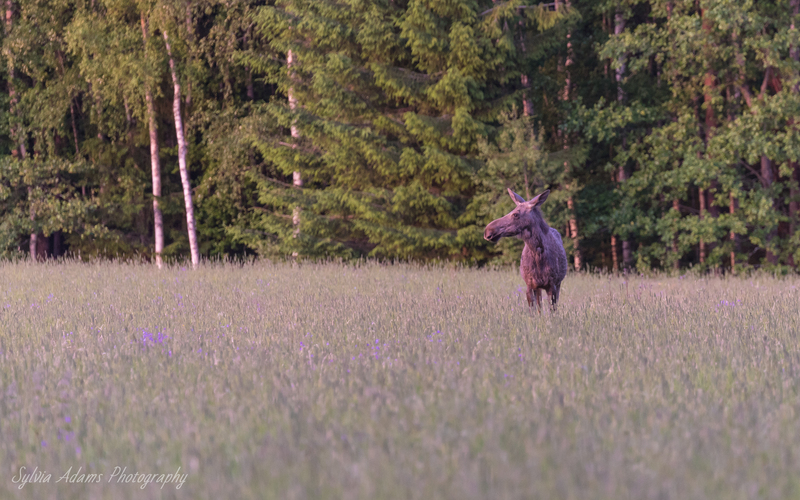 After meeting your guide you will travel by minivan to one of the best moose spotting areas in Sweden. At the campfire you will get better acquainted with the rest of the group. Your view is that of a stunning lake where herons and golden eagles are often seen. You are now deep in the taiga, where countless wild animals live such as moose, roedeer, wild boars, hares, foxes, badgers, wolves and even lynxes. Before dinner you will be exploring the area on foot. 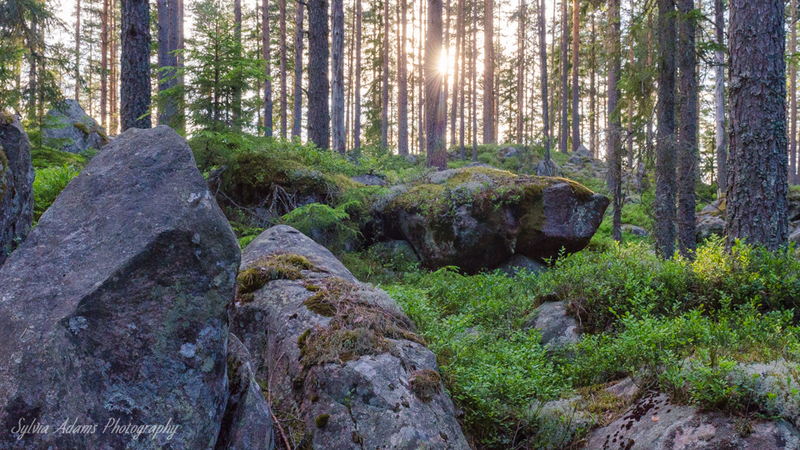 You will hike through ancient woodlands with its forest floors completely covered in mosses of various shades of green, and where many types of berry bushes grow. During the walk your guide will make several stops and explain more about moose, such as why these amazing animals are so significant to the taiga ecosystem. After the walk you will return to the campfire and enjoy a meal consisting of a wrap filled with smoked lamb and organic vegetables, a healthy berry drink or a bottle of local beer, organic coffee and tea and delicious homemade biscuits. For vegetarians a meatless wrap is available. Later that evening you will travel through the forests by minivan looking for moose and other wildlife. The van will always remain at a respectable distance so as not to scare the animals. When opportunity knocks you will get off for a closer view and better photo opportunities. Please be aware that moose are shy animals and afraid of human beings. You will set out to look for them in their natural habitat where they are not receiving any extra food from humans. You will return to the starting point in the darkness, better understanding and respecting moose and other animals you got to observe.